While my boyfriend held fears of our plane crashing into the deep blue sea, I held the fear of my chimichurri being denied by the TSA. 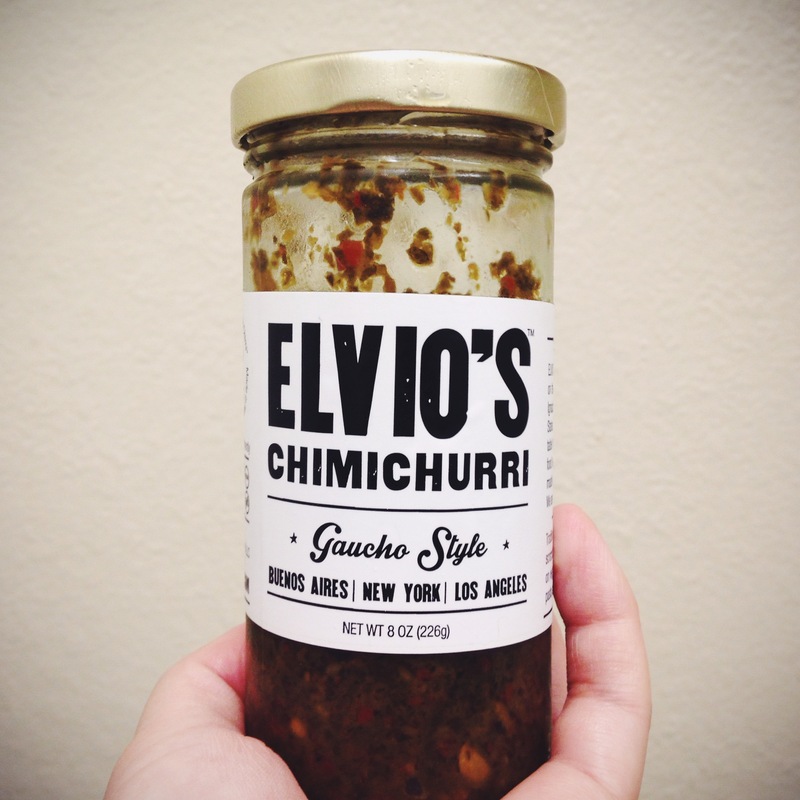 On my recent trip to the East Coast, the only souvenir I brought home with me was a jar of Elvio’s Chimichurri. I purchased two jars from Elvio’s Chimi at Smorgasburg- one as a gift to my friends I would be visiting later and one jar for myself. The one for myself was a gamble because from that moment on, I was paranoid this jar was full of too much liquid that I wouldn’t be able to bring it on my flight home. Four days after my purchase, you could not imagine the relief I felt crossing security check with my chimichurri. Success! Well up until a week ago, I didn’t open that jar. Maybe because I knew that once I opened it, it would be gone. With the basis of vinegar and garlic, you can put chimichurri on everything really and it’ll only make whatever you’re eating a million times better! I’ve now been making a point to cook something up, just so I can use the chimichurri. Elvio’s is a family business with a recipe inherited from Argentina. Learn more about their story and where you can grab a jar for yourself to experience the deliciousness your palate has been lacking on their website, Elvio’s Chimi. ← To the Ice Caves!